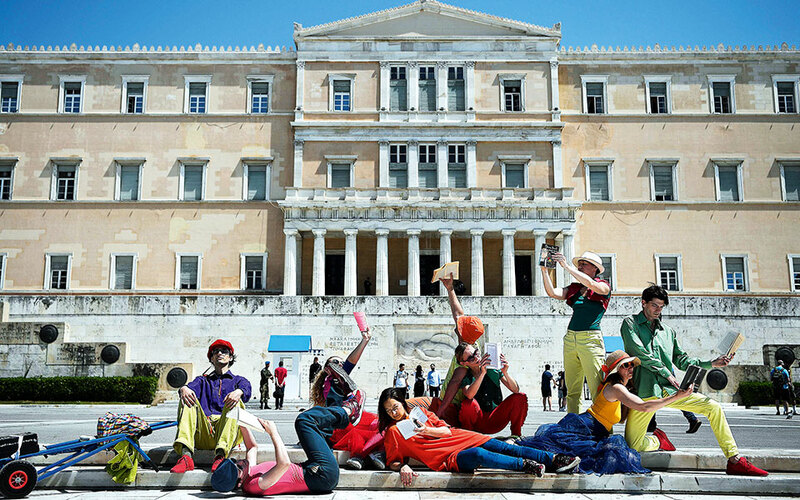 A group of dancers perform a "pop up readings" show in front of the Greek Parliament. 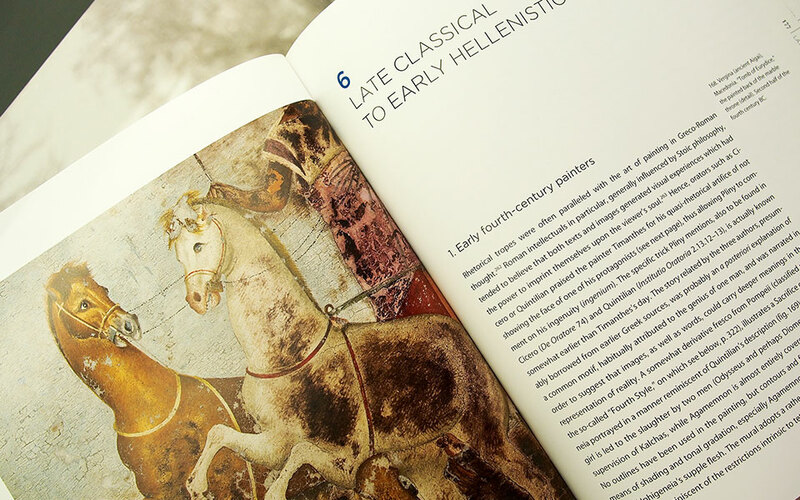 Athens is proud to bear the title of UNESCO World Book Capital 2018, and has put together an impressive program of events related to the written word. 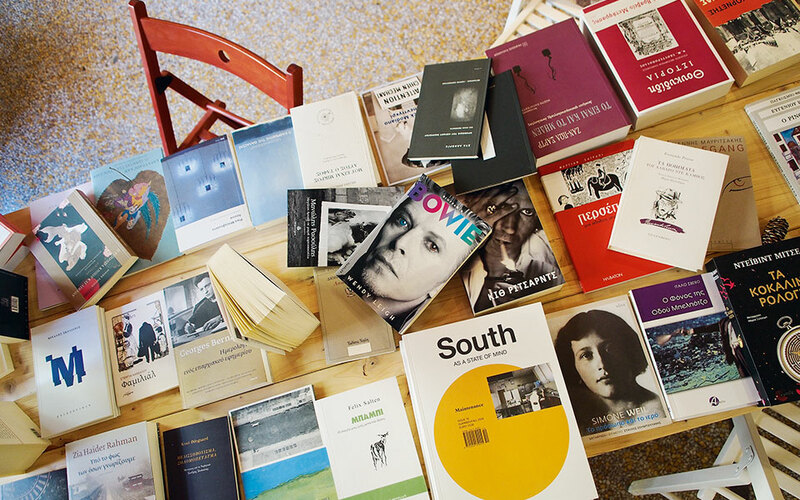 A new chapter in Athens’ rich literary history began in April this year, when the Greek capital was declared UNESCO World Book Capital for 2018. Inspired by the slogan “Books everywhere,” the city has been celebrating literature, and the reading of literature, more than ever, with events taking place all over the city. The Municipality of Athens hopes the program of events will promote the city as a hub of culture, knowledge and history, while the publishing industry expects it will engage both regular readers and those keen to get back into the habit of reading. 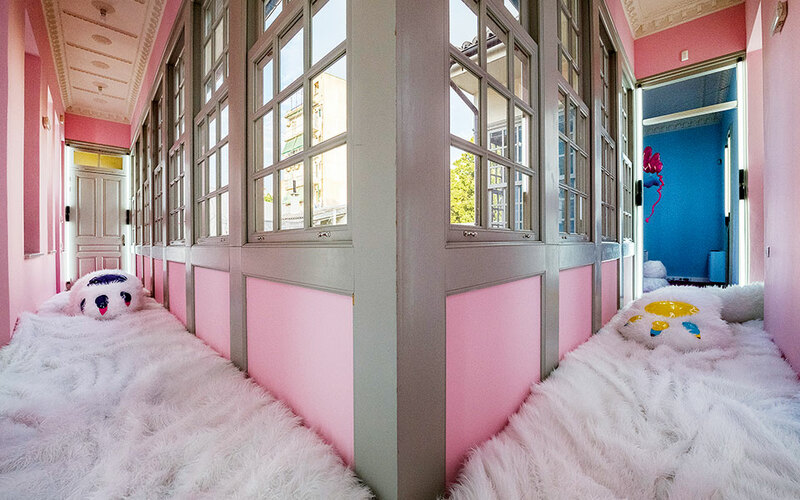 From prominent cultural institutions to lesser-known groups – institutes, libraries, culture venues, popular festivals and open-air corners – the city is participating in the festivities in its own way. What, then, does Athens’ designation as 2018 World Book Capital signify? “It means that the city and its government, its residents, individuals, organizations and institutions must all deepen their networking and partnerships, employ their passion and imagination, and work to convince donors and sponsors of the value and distinctive character of the activities they have proposed; it also means that the city is returning to a path of creativity and extroversion,” says Erifili Maroniti, program coordinator of Athens 2018 World Book Capital. And the slogan “Books everywhere”? Visits by renowned authors to Athens are endowing the festivities with an international and multicultural character. The city has already welcomed Ian McEwan, Herta Müller, George Saunders, Hanya Yanagihara and John Connolly. On September 6, the psychoanalyst and writer Joseph Knobel Freud (a great nephew of Sigmund Freud) is expected at an event on “Adolescents in our society” at Pataki Bookstore while on November 1, the Swedish writer and literary critic Arne Dahl and the Greek writer Petros Markaris will hold a discussion at Ianos Bookstore. The year-long program of events also extends to other forms of art, including film and music. More than 30 leading institutions are involved, offering activities which appeal to foreign-language audiences as well. 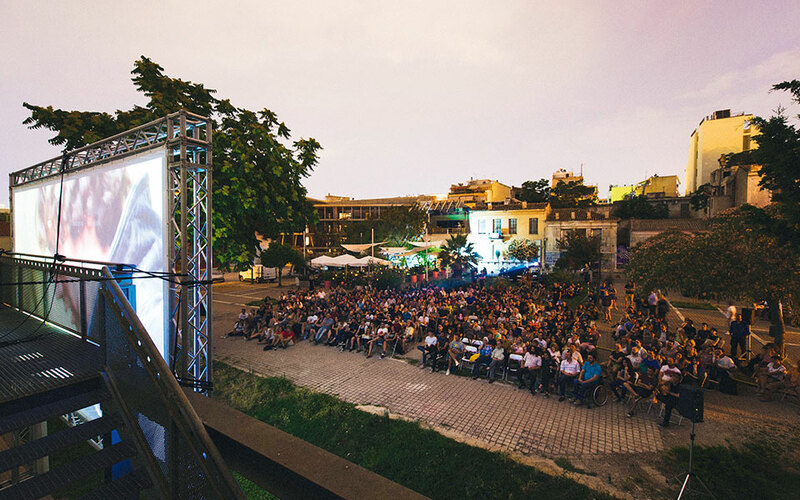 The 8th Athens Open-Air Film Festival will show some well-known film adaptations of books. On August 24, Terence Davies’ “The Long Day Closes” (1992), will be shown on the pedestrianized Dionysiou Areopagitou Street and on August 29, Peter Brook’s classic “Lord of the Flies” (1963), based on William Golding’s book of the same title, will be screened in the courtyard of the Numismatic Museum. Musical performances, a summer feature in Athens every year, will also be included in the program. On July 11, the Hellenic Music Workshop of the Municipality of Athens will perform music to works by celebrated poets Giorgos Seferis, Kostas Karyotakis and Nikos Kavvadias at Pangrati Park (Alsos Pangratiou). A few days later on July 16, German rockers the Scorpions will join the Athens State Orchestra for a concert in one of the most spectacular venues in the world, the Panathenaic Stadium. Athens World Book Capital 2018 has been made possible by its sponsors and contributors. The major sponsor is the Stavros Niarchos Foundation. Gold donors are the John S. Latsis Public Benefit Foundation and Core Construction. Donors are the Onassis Foundation, KIKPE (the Welfare Foundation for Social & Cultural Affairs), the Laskaridis Foundation and the Greek Collecting Society for Literary Works (OSDEL). Aegean Airlines, the Athens International Airport and Urban Rail Transport (STASY) are all valuable contributors.